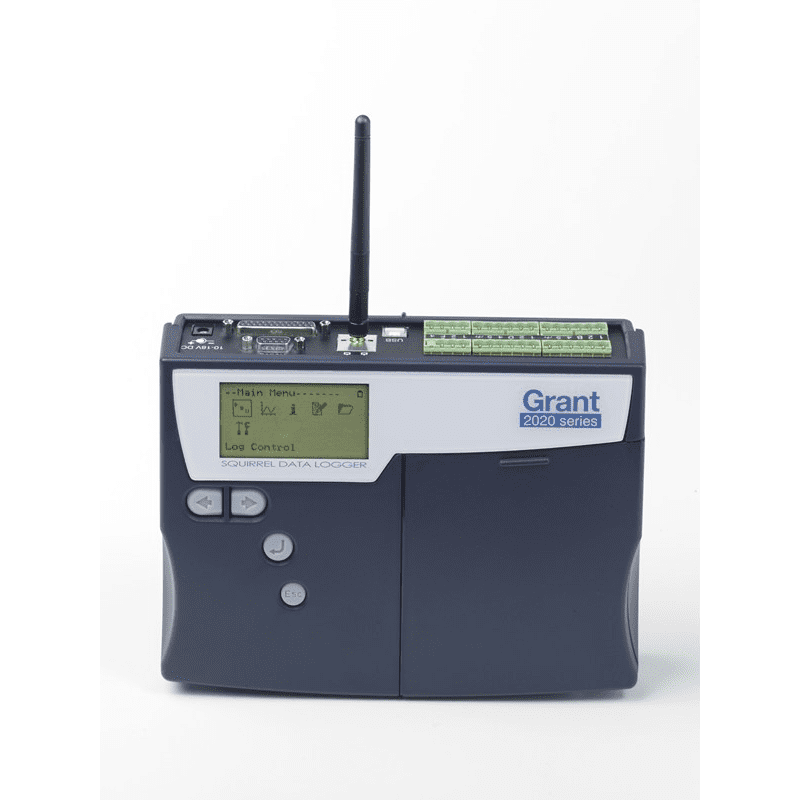 The Grant Squirrel SQ2020-2F8-WiFi Portable Universal Input Data Logger combines high performance and universal inputs with the simplicity of Wi-Fi networking in a compact and easy-to-use instrument. 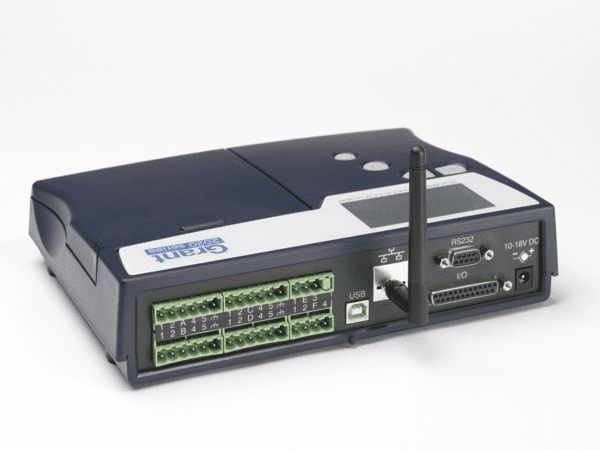 Using high accuracy, 24-bit analog to digital converters, removable memory and Wi-Fi wireless Ethernet networking, the SQ2020 Wi-Fi is the ideal data logger for industrial, scientific research and quality assurance applications. 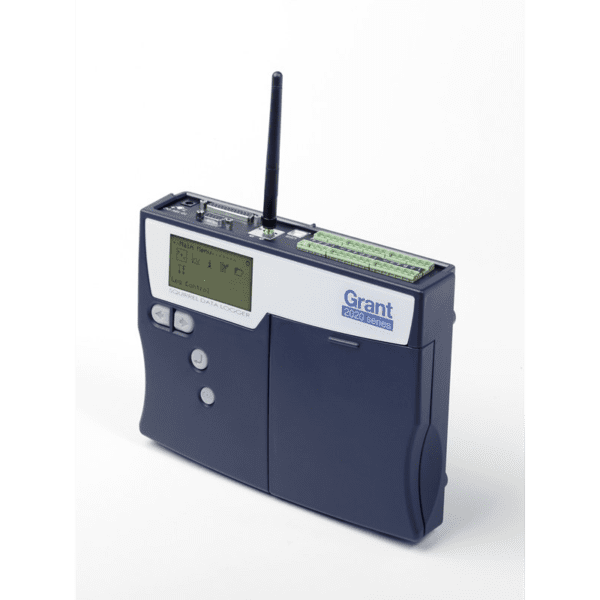 Together with our comprehensive suite of software, SquirrelView, the SQ2020 provides standalone data acquisition, simple Wi-Fi networking, real-time metering and data analysis straight out-of-the-box. Communication Standard: Wireless Ethernet ( Wi-Fi): 802.11b, 2.4GHz, 1 to 14 channels. Security: Open, WEP(64 or128bi encryption), WPA orWPA2/ 802.11i. Please note: SQ2020 is supplied with software, manual, USB cable, wall bracket, batteries and 4 current shunt resistors. 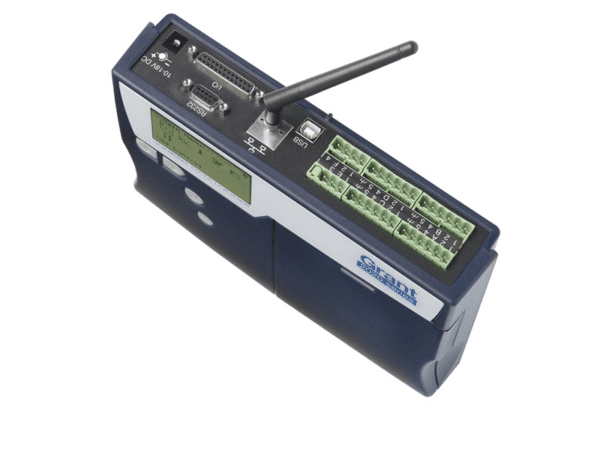 Use the simple communication wizard for hassle free working with modems, Ethernet, GSM, etc. For full analysis and reporting facilities SquirrelView Plus is available as an add-on option (a free 30-day trial is included with the SquirrelView software). Windows® 2000, XP; Pentium II 266MHz, 60Gb HDD, colour SVGA screen, at least one RS232 or one USB port. SquirrelView Plus has all the features of SquirrelView with the additional benefits of allowing graphical analysis of historical and on-line data, whilst providing advanced reporting options. SquirrelView Plus allows quick and easily analysis of the Squirrel data in a familiar Explorer navigation-style interface. Data can be displayed with two different auto scaling Y-axes ─ essential for displaying widely varying data from different sensors on one graph. Particular data of interest can be zoomed into whilst an on-screen cursor can pick out exact values. Data can be shown in a statistical summary with set high and low alarm thresholds. The powerful calculation function allows the creation of “virtual” new channels from existing channels e.g. value from channel 1 added to the average of 10 readings from channel 2 etc. SquirrelView Plus also incorporates a flexible report generation facility which allows the creation of custom report consisting of a title page with descriptive text, headers and footers, graphs, tabular lists of data, statistics and Squirrel logger set-up information. These can be saved as templates with any of these combinations saving time when preparing similar presentations of data. Downloader for automating data download using MS Scheduler® (Squirrel 2010, 2020 and 2040 only). Customisable report facility: print out graphs, readings, etc.